SACHS TRANS International is a family-based transportation company created over 30 years ago by Marek Sachs. Three decades in the field of international transport have been a time of intense work for all of us and allowed us to find our place on the business map of Europe. Satisfaction of our partners ensures our growth with every travelled kilometre. We started building our market position through systematic work already in mid-1980s, when Polish roads were dominated by Star, Nysa, Tarpan and Żuk vehicles. 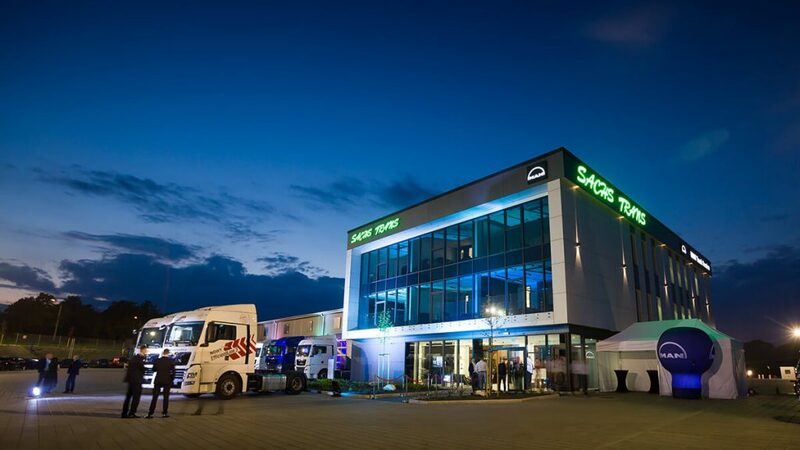 After political and economic changes in Poland, with the TSL sector starting almost from scratch, our first new semi-trailer truck LIAZ under the Sachs Trans flag could already be seen on the road. Satisfaction of our partners ensured our growth with every travelled kilometre. Today, our fleet includes over 300 vehicles, including 250 MAN semi-trailer trucks. Three decades of intense work and millions of travelled kilometres made it possible for us to provide the best transportation services. Our customers are our driving force – we have created new opportunities and continuously strived towards excellence with you in mind. Customer satisfaction is our source of motivation and energy, used to look for new ways to operate throughout Europe. Every unusual transport task is our challenge, which we gladly undertake. There is no impossible thing for us!